South Korean scientists just developed the world’s first imprintable and bendable battery – and it could pave the way for flexible mobile devices in the near future. According to the researchers, the new lithium-ion batteries are not only flexible, but also more stable and less likely to overheat or catch fire than conventional batteries. This technology could lead to the creation of flexible smartphones or other electronic devices, as well as the development of new apps that could change the way consumers interact with their phones. 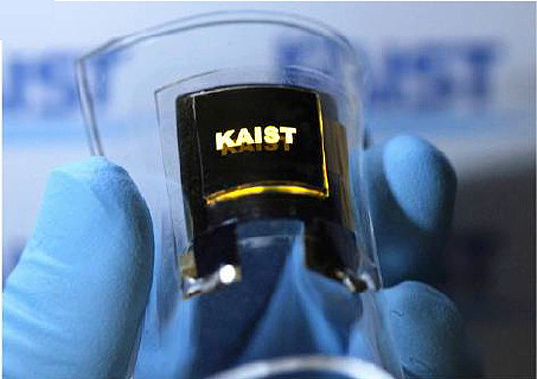 The new flexible battery was developed by a team of researchers at the Ulsan National Institute of Science and Technology in South Korea. Led by Professor Lee Sang-young, the team has created a fluid-like polymer electrolyte that, through use of nanomaterials, could be applied to any given surface. The electrolytes are exposed to ultraviolet rays for 30 seconds, resulting in flexible batteries that can be imprinted with various patterns. Apart from creating more diverse possibilities for practical applications, due to the flexibility of the design, the new batteries show a much higher level of stability than conventional batteries that use liquefied electrolytes. “Conventional lithium-ion batteries that use liquefied electrolytes had problems with safety as the film that separates electrolytes may melt under heat, in which case the positive and negative [charge] may come in contact,” said the country’s Ministry of Education, Science and Technology, which co-funded the research. South Korean scientists just developed the world's first imprintable and bendable battery - and it could pave the way for flexible mobile devices in the near future. According to the researchers, the new lithium-ion batteries are not only flexible, but also more stable and less likely to overheat or catch fire than conventional batteries. 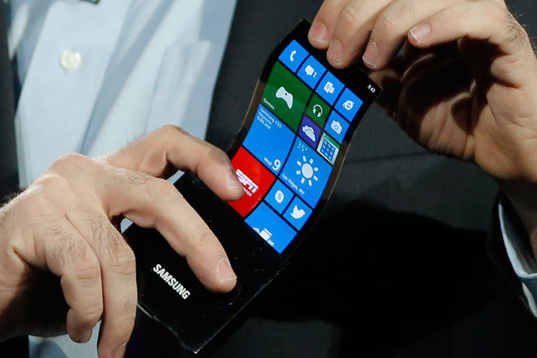 This technology could lead to the creation of flexible smartphones or other electronic devices, as well as the development of new apps that could change the way consumers interact with their phones.